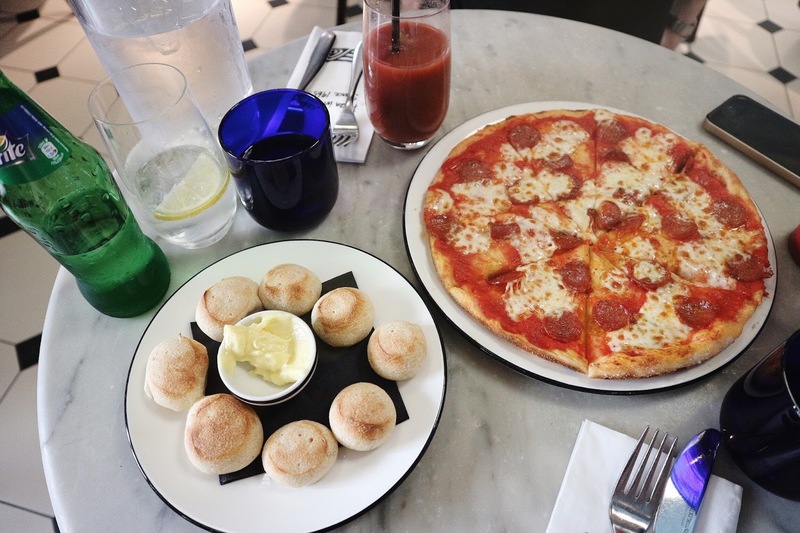 Here's a lil' post for you all about when myself and Alex went to lunch the other day at Pizza Express. 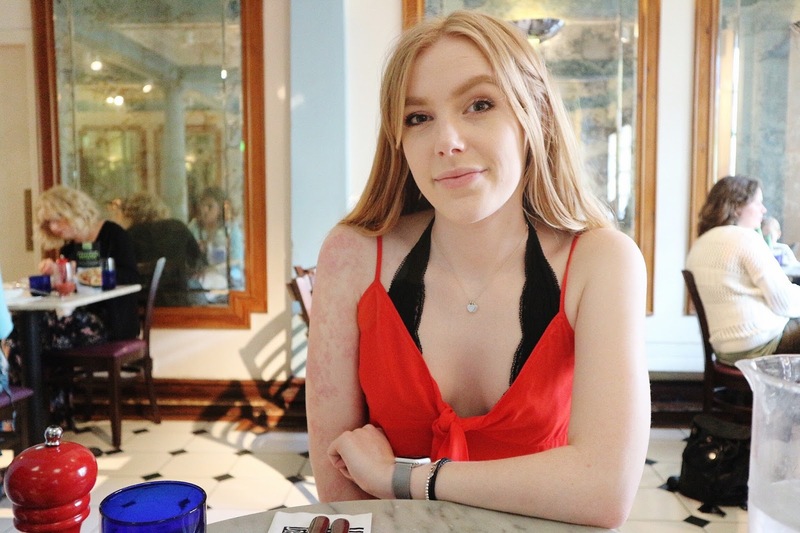 Being a student and actually being able to enjoy the nicer things in life like eating out can be pretty hard, but thank god theres a deal on o2 Priority which gets you a £5 main course at Pizza Express so obviously that was a go to when starving in the middle of town. 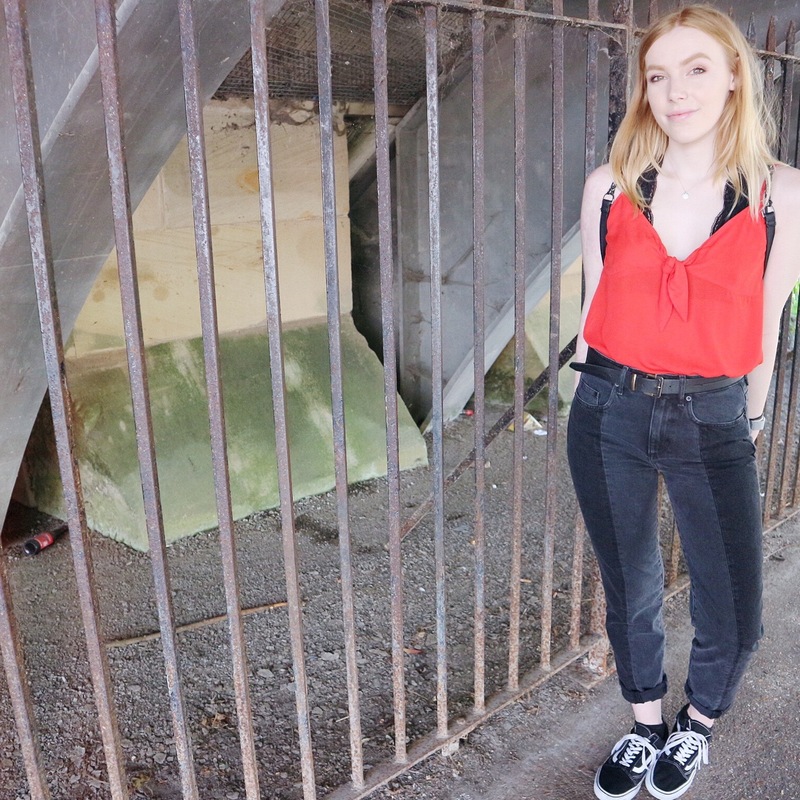 I also really liked my outfit this day so obviously had to get a few photos, the vibrant red top and amazing jeans are both from H&M.